Welcome to the Shell Customer Satisfaction Survey. We value your feedback and appreciate you taking the time to complete our survey. Please enter the following pieces of information based on the visit where you received this invitation. To find your visit information, click here. 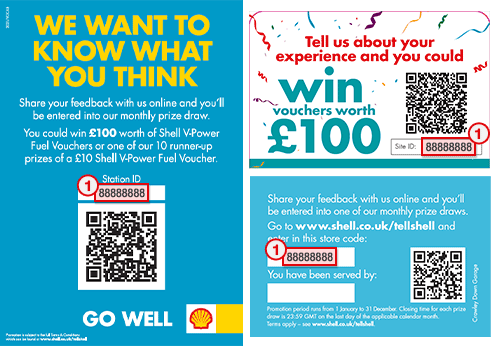 Upon completion of this survey, you will be given the opportunity to enter our prize draw to win £100 worth of Shell V-Power Fuel Vouchers or one of our 10 runner up prizes of £10 Shell V-Power Fuel Voucher. To be eligible, you must be 18 years of age or older. To view the official Terms and Conditions, click on the link at the bottom of the page.